Two wealthy developers, Carl Berg and Chop Keenan, are behind the “Evergreen Senior Homes Initiative”. This deceptively-named proposed initiative would allow the construction of a gated-community of predominantly single-family homes at market prices of $1 million or more. The reasons to oppose this proposed initiative are below. The proposed initiative would supposedly provide affordable homes for seniors and veterans. Reading the fine print, the initiative won’t just impact the Evergreen area of San Jose, it will negatively impact the entire City of San Jose. The initiative is a poison pill for the entire city since it bypasses established planning processes by unilaterally rewriting the city’s development policies to suit the developer’s profits. The community is left out in the cold without due process because they will be excluded from the planning process. These wealthy developers are attempting to create their own set of rules via an initiative that waters down affordable housing requirements, that exempts them from paying the traffic impact fees that any other developer must pay, and that allows them to bypass the City’s established community engagement and feedback process for new development proposals. Threat to San Jose: The Initiative will rewrite San Jose’s General Plan to create a new land use designation, or “overlay”, on ALL under-utilized employment lands, threatening every neighborhood in the City. Subsequent development within the overlay will be exempt from adhering to San Jose’s General Plan policies and normal planning processes that require public transparency and participation. Protections for the environment will also not be enforceable, posing serious risks to our wildlife and natural resources. The overlay cannot be reversed for 10 years, giving developers plenty of time to take advantage of the freedom to build whatever and however they want. Threat to the Evergreen area of San Jose: The Initiative proposes building a gated-community of predominantly single-family homes for anyone over the age of 55. Such homes would have a market price at $1 million or more in the Evergreen Foothills. The initiative makes claims of affordable housing, yet it will be exempt from providing the quality and quantity of affordable units that are currently required by the City’s General Plan. Further, traffic is always a concern to the Evergreen Area particularly to the arterial roads of Aborn Road, San Felipe, and Yerba Buena. A developer would typically be required to pay traffic mitigation fees and implement traffic mitigation measures, but the Initiative conveniently excludes developers from any and all fees and mitigation plans. Traffic Impacts: The current city development policies state that new developments will pay traffic impact fees to mitigate additional traffic. The Initiative proposes 910 homes in the constricted Evergreen area. Up to 20% of the homes will be dense multi-family apartments. This area is served primarily by San Felipe and Yerba Buena Roads and which are geographically limited by Thompson Creek and the hilly terrain. Expansion of these roads would be difficult. The Initiative, however, specifically excludes itself from all traffic impact fees and mitigation measures. Deceptive Advertising: The Initiative make claims to provide affordable housing to seniors and veterans. Yet the numbers don’t add up. The primary development will be single-family homes within a gated-community. The prices of such homes will be in the neighborhood of $1,000,000. These homes would hardly be considered “affordable”. While the Initiative may provide up to 20% of multi-family apartments, it’s unclear the extent of the developer’s commitment to this in light of the fact that profits, not affordability is their primary motivation for this Initiative. Not Playing By the Rules: The established city planning policy has among other things, a process to adhere to established polices to create a vibrant, well-planned neighborhood which maximizes the quality of life to the community and minimizes impacts to the environment. The Initiative, unilaterally rewrites the development policies to maximize benefits to developer, while stripping residents of transparency and opportunities to participate in the planning process. A truly fair process allows all stakeholders to participate. The Initiative bypasses the whole process. Initiative Will Spur Inappropriate Developments in Other Areas of San Jose: The initiative would create a city-wide Senior Housing Overlay which supersedes existing development policies. 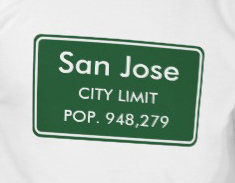 This “overlay” could then be applied to other areas of San Jose with undesired consequences. Note that the supporters of the of the Initiative have additional land holdings in Almaden Valley and Coyote Valley and should the Initiative pass, the developer could then apply the overlay to develop in inappropriate areas such as land reserved for open space and hillsides. Impacts to the Environment: If passed by the voters, the Initiative will exempt subsequent development from having to adhere to California’s environmental laws. Regulations that protect air, water, and wildlife will not be enforced, and the environment will suffer. The Mayor of San Jose has noted: Wealthy developers are attempting to create their own, more profitable set of rules that differs from the rules that everybody else in San Jose must follow. Although the developers make claims about “affordable housing,” the proposed project is a gated community with overwhelmingly million-dollar luxury homes. Despite the developers’ claims about affordability, this initiative actually waters down the affordable housing requirements by which every other housing builder in San Jose must abide. The developers claim that they will house veterans, yet they make no enforceable commitments to ensure that any veteran will live in a single one of these homes. In a part of San Jose suffering from chronic traffic gridlock, these developers have crafted the initiative to avoid paying the traffic impact fees that any other developer in Evergreen must pay. Although this proposal is cast as a “senior housing” project, it doesn’t resemble traditional senior housing. These developers are bypassing the City’s established community engagement process for new development proposals, denying residents the opportunity to provide input and help shape this project. If the proposed initiative fails, the developer would simply have to follow the regular process in order to best meet the needs of the city and the community. The developer would not be able to bypass the City’s established community engagement and feedback process for new development proposals. The developer could no longer deny residents the opportunity to provide input and help shape this project.